Client Edra Costruzioni Soc. Coop. 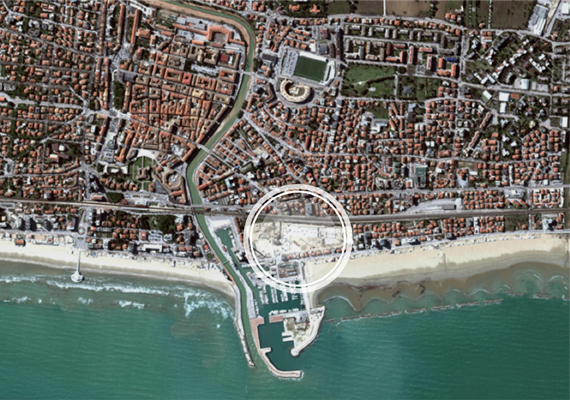 The Sacelit-Italcementi project is a large brown field development in the town of Senigallia, Italia. The site, formerly occupied by a concrete production plant, is located on the sea front of the town, looking on the touristic harbour and at a walking distance from the city centre. 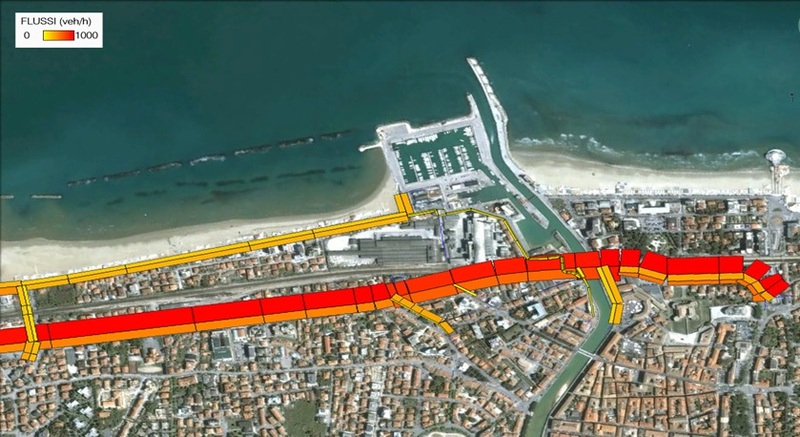 The South-West side of the area is closed by the Adriatic railway corridor. The development includes around 170 apartments, commercial areas, a small museum, a 99 rooms 5-stars hotel and underground parking facilities serving both the development and the public demand of parking areas. The public areas will include a park around the residential building and a square among the hotel, the commercial areas and the museum. 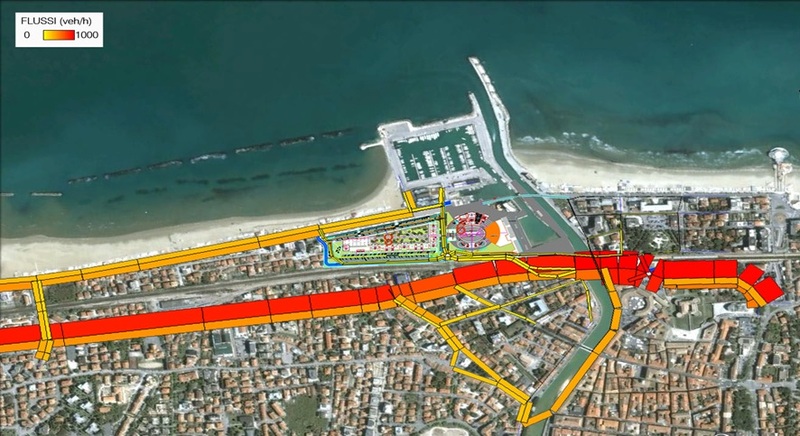 The role of Systematica included the assessment of road layout functionality and its geometric features, supporting the executive design phases and focusing particularly on the connection with SS16, the main road axis of Senigallia. The functional issues arose on the possibility that the already heavily trafficked SS16 could accommodate the new traffic loads generated from the development, while the geometric ones were generated by the narrow spaces between the SS16 and the rail tracks, and between the rail tracks and the buildings of the development. To this aim, a dynamic micro simulation model was created using S-Paramics®, following a site visit and traffic counts on the most important streets of the area. The geometric issues were assessed using Autotrack®.